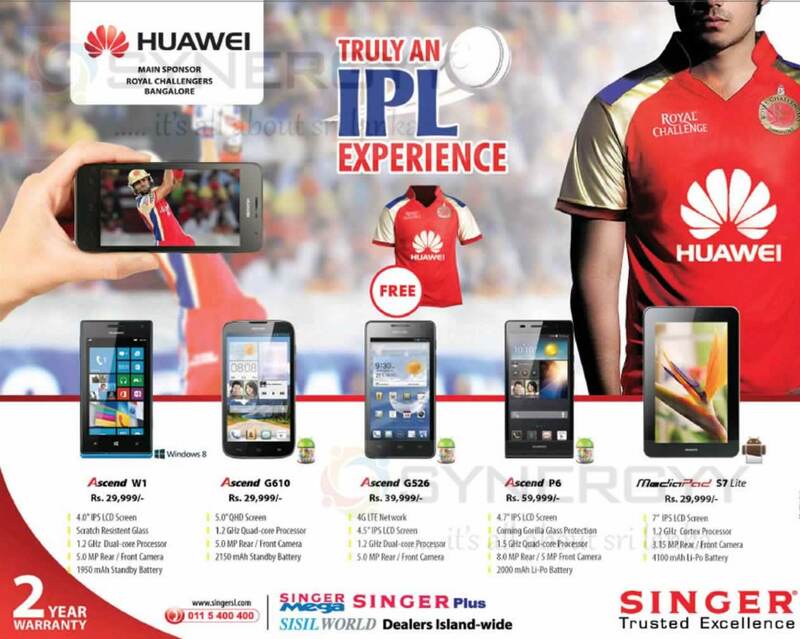 Singer Srilanka an authorised dealer to sell Huawei Smartphone in Srilanka, the Huawei introduce wide range of smartphones with latest android applications, this offers you to enjoy very latest technology at an affordable prices in srilanka. 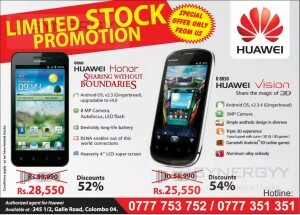 The Huawei Sri Lanka announces Special offer only for Huawei Honor and Huawei Vision Mobile phones in Sri Lanka. For more information see below image or visit Huawei authorized agent at 245, 1 /2, Galle Road, Colombo -04. 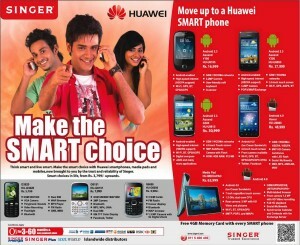 The Singer Sri lanka introduce Huawei Ascend W1 for Rs. 33,999.00, for the affordable price with Windows Phone. 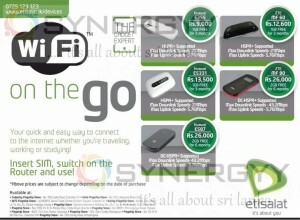 Etisalat Sri lanka offers an attractive Wi-Fi offers for the quick and easy way to connect to the internet whether you are travelling, working or studying. 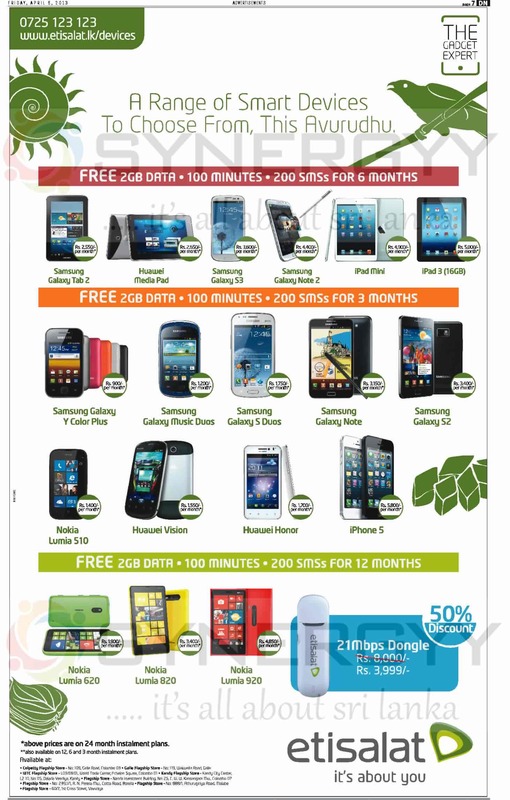 Above prices are subject to change depending on the date of purchase. 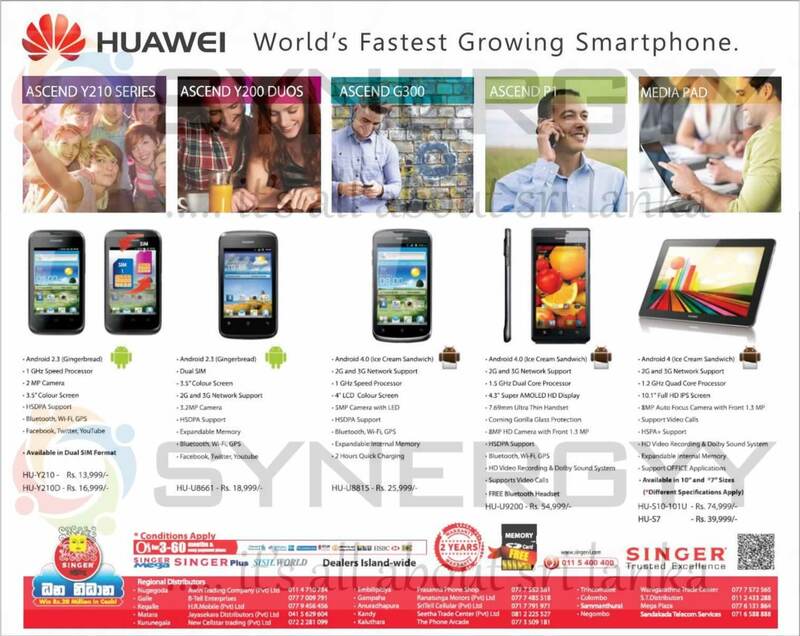 The Huawei Media Pad is an ultimate solution for your Business needs of Tablet as with 10 FHD and 7 Lite Tablet. 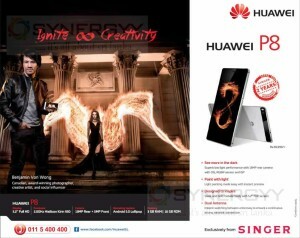 Camera Camera resolution Rear 3.2Mp, Front 0.3Mp. Others Others Multimedia: Video – AVI, WMV, MP4, MKV, RM, RMVB, FLV, MOV, 3GP, up to 1080p30; Audio – MP3, WMA, WAV, APE, FLAC, AAC, OGG. Google: Play Store /Movie /Search /Mail /Talk /Maps /YouTube etc. 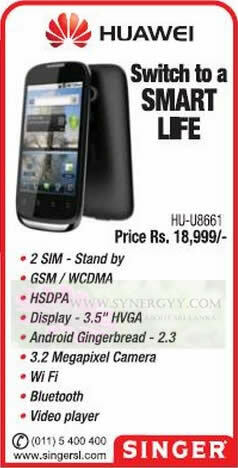 Others: SW Upgrade, Android Widgets, Popular Internet (Facebook, Twitter etc. 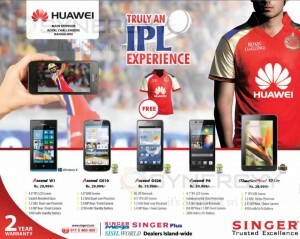 ), Huawei HiSpace / Cloud+ / Call+ etc. Entertainment Video player 1080p@30fps(MPEG-4 / H.264 / VC-1 / WMV-9), with formats of MP4 / 3GP / 3G2 / RM / RMVB / ASF / FLAC / APE / MOV etc. 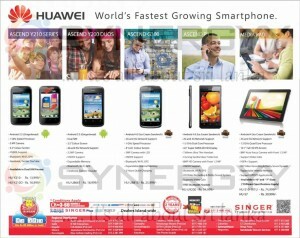 Music player MP3 / WMA / FLAC / APE / WAV / RA / Ogg / MIDI / 3GP etc. 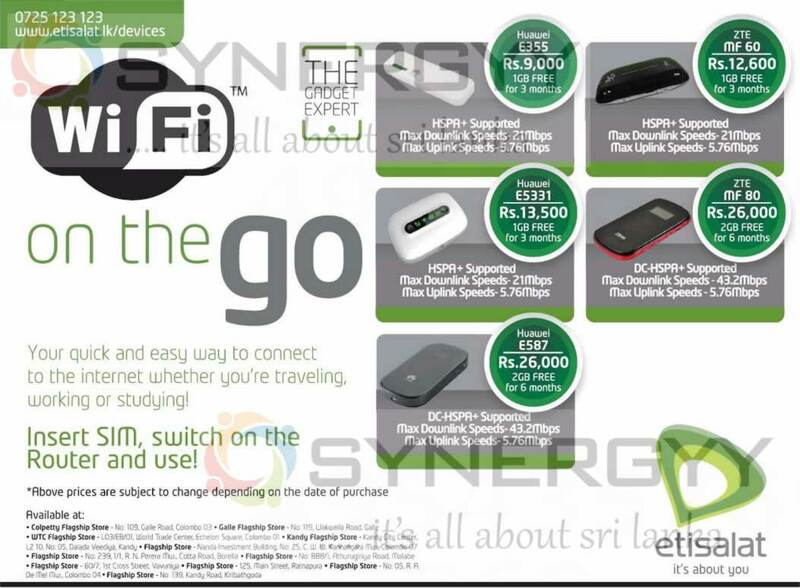 The Etisalat Sri Lanka offers you a Range of Smart Devices To Choose From, This Avurudhu season. 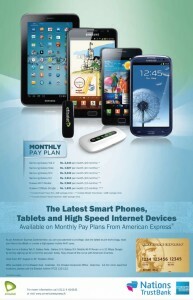 * Above prices are on 24 month installment plans, and also available on 12,6 and 3 month installment plans. 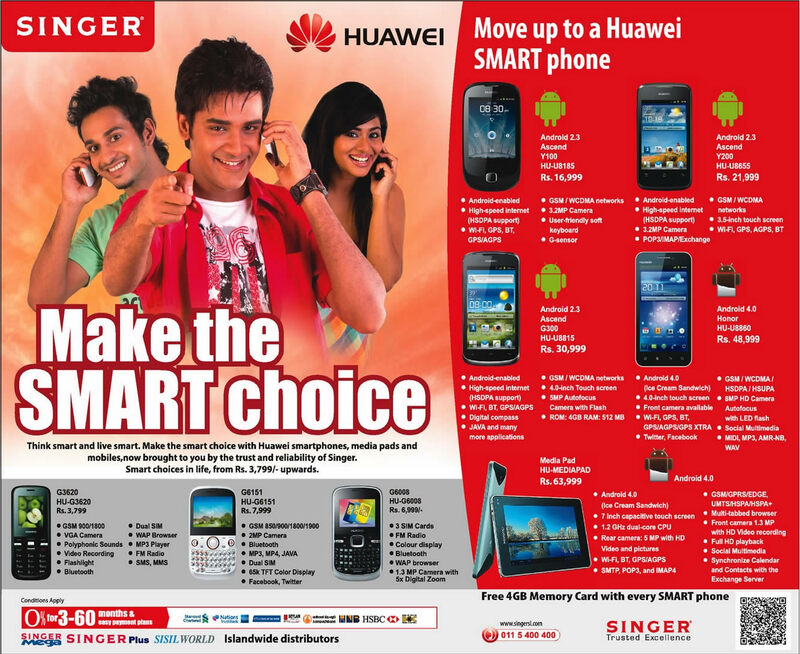 The Singer Sri Lanka announces the special prices for the Huawei Smart Phones in Sri Lanka, buy your Huawei Smart Phone today and enjoy a best price from Singer Sri Lanka for this Sinhala Tamil New Year Season. 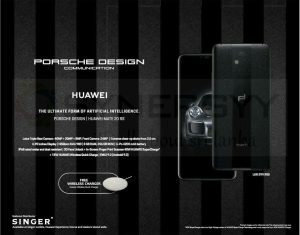 Singer offer you the widest range of Hi-Fi Audio system amazing sound quality & stylish design, which ensures you a dazzling music experience you have never had before. Mobitel srilanka Introduce new Applications for enjoying your Mobitel Mobile TV from your Mobile irrespective of the Operating system of Apple, Android or Blackberry. Download Mobitel TV application today and enjoy rewind TV up to 24 Hours and enjoy your desire telecast. 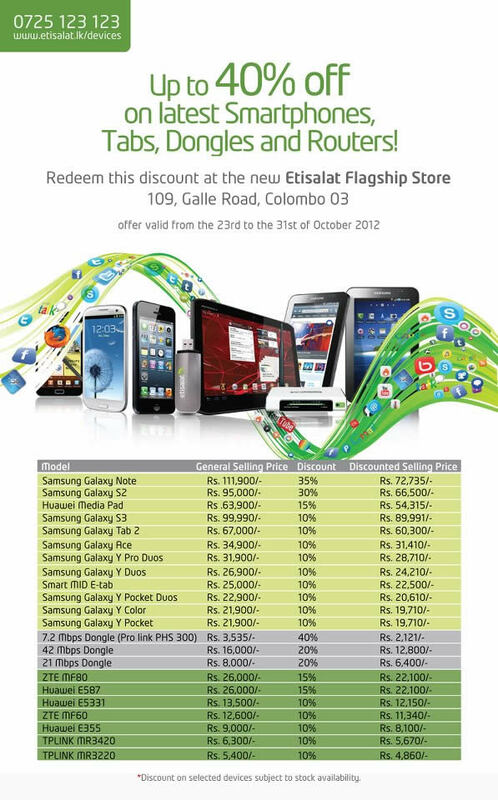 The Etisalat Srilanka made an offer upto 40% Special discount for Latest Smartphone, tabs, Dongle and routers in Srilanka. 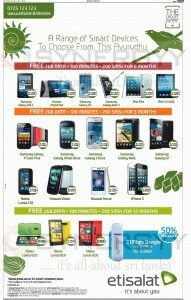 The offer will be valid up to 31st October 2012 (Another 3 Days more). 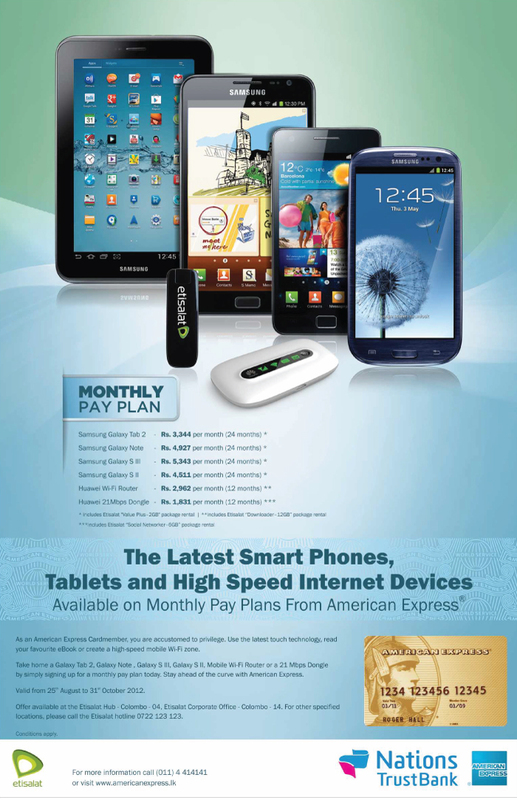 The Nation Trust Bank and Etisalat jointly made an offer of the latest smart phones, Tablet and High Speed internet devices monthly instalment scheme. 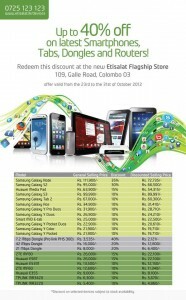 The offers are valid for Samsung Galaxy, Huawei routers and dongles. 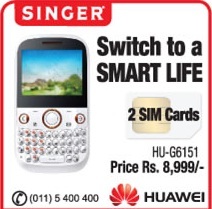 Singer Sri Lanka introduces a Dual sim Huawei phone for Rs. 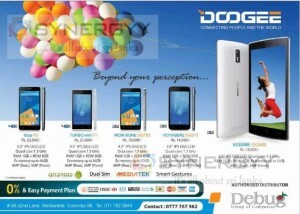 8,999.00, its valid offer for you obtain brand new mobiles at best price in market.